Do you intend to move into the Cowboy State? Have you heard of the Flaming Gorge? Would you like to be in an atmosphere some high-profile acts like REO Speedwagon, Poison, and the evergreen country legend Chris LeDoux have performed in the past? In this beautiful place, if you’re not listening to one of its many concerts, you can just sit back to enjoy a basketball tournament, feel amused with the parade or even partake in the yearly 5K run. Sure, you can’t wait to see for yourself what makes the Wyomingites to love their city. The Suffrage/Equality State: It granted women voting rights in 1869. Bordered by Montana, South Dakota, Nebraska, Utah and Idaho, two-thirds of western Wyoming is coated with rangelands and mountain ranges in the Rocky Mountains and a third of the Eastern part is prairie land at a high elevation which is known as the High Plains. The US Government owns almost 50% of the land in Wyoming which includes Grand Teton and Yellowstone national parks, two national recreational areas, national monuments, several national forests, historic sites, and wildlife refuges and fish hatcheries. Do you like Wyoming? Share your passion! Check on the state parking restrictions and be ready to pay tolls while traveling. Best time to move is during fall when there are less rain and moderate temperatures. In a scenario you have no other option, make sure you take all the necessary precautions to ensure a smooth move-in, like a fully charged cell, toolbox, first-aid kit, provisions, etc. Always be ahead of time if you’re going to be moving close to the national parks. Wyoming requires licenses for both cats and dogs. So check with your local county office for the rules and regulation for moving your beloved pets. Wyoming has one of the driest and windiest weather with a semi-arid continental climate due to the topography of the state. Wyoming has warm summers with temperatures ranging from 29 degrees Celsius to 35 degrees Celsius in most areas. These numbers decrease as the elevation increases and averages to around 21 degrees Celsius. Sometimes, due to this, even the hottest of the places have summer nights at 10-16 degrees Celsius. 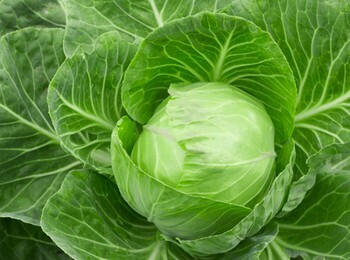 The early summer and late spring seasons are when the precipitation is at its highest. Winters have variable levels of cold and the Chinook winds provide warmth in some places. Wyoming is a pretty dry state because it receives less than 10 inches of rainfall per year. The frequencies of thunderstorms are high during late spring, and early summer and southeastern Wyoming is the most susceptible to tornado activity. The tornadoes aren’t that friendly towards the west, and their occurrence is low. The capital of Wyoming is Cheyenne, and it is the most populated city with around 63,335 people. However, this number is still minuscule compared to some other cities in the United States. 4 of the most populated cities of Wyoming are Casper, Laramie the university town, Gilette and Rock Springs, the growing energy hubs each with a population greater than 20,000 while Jackson is the closest to the national parks. It’s important to note that Cheyenne is fast becoming a “place not-to-miss” for the younger Wyomingites and the older ones who fancy having fun. It’s an abode to the Celtic Music Festival, great bars such as the Outlaw Saloon, the country’s largest outdoor rodeo and the Big Country Speedway. You can’t just be bored in Wyoming! Public education in Wyoming is regulated by the state superintendent of public instruction. The policies of education are set by the State Board of Education. Wyoming has just one public university, The University of Wyoming, and one private college, Wyoming Catholic College and seven community colleges. Wyoming defines the meaning of “American Western Food.” Here is a list of the must-tries. If you like locally grown fresh food, check out these farmer markets in Wyoming. The Jackson Hole Airport is no doubt the largest airport in Wyoming and employs over 500 staff. Others are Casper International Airport, Cheyenne Regional Airport, Yellowstone regional airport and Gillette-Campbell County Airport. 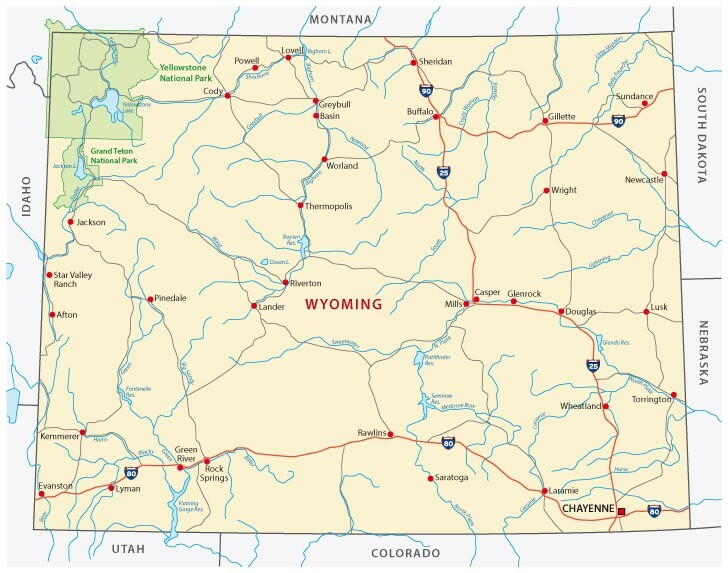 Wyoming has three interstate highways and thirteen national highways passing through it. 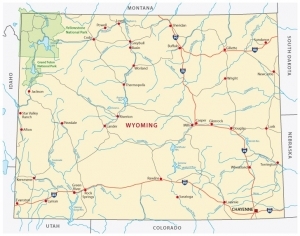 Additionally, Wyoming also utilizes the Wyoming state highway system. Wyoming has some railroads like the BSNF Railway, Canadian Pacific Railway, Swan Ranch, and Union Pacific Railroad. The south of Cheyenne is the entrance to the Interstate 25 which runs north and then intersects Interstate 80 to the west of Cheyenne. Wyoming also has ten other U.S Highways that pass through it and Wyoming is one of the only two states which is not served by Amtrak. Wyoming is a state of clean air and water and has one of the most entrancing places in the United States. These characteristics are sufficient to make people go running to Wyoming, but still, you have to analyze how the moving will impact your financial status carefully. Wyoming has a 9% higher average cost of living compared to the other states with Casper being the most expensive location and Rural Wyoming being the less costly. The annual cost for a single adult with no children is around $28,741. For a married couple with one child, $58,000 and a married couple with up to four children, $92,414. Wyoming has a higher healthcare index while housing is the lowest. The state of Wyoming doesn’t levy a personal or corporate income tax amount nor does Wyoming assess any taxes on retirement income earned and received from another state. Wyoming has the lowest property taxes in the United States. The average tax rate is 0.62% which ranks as the ninth lowest rate in the country. As a Wyomingite, you will be required to pay the property taxes in two installments where the first installment should be paid by the 10th of November and the other half by May 10th. The county assessors evaluate the property once every six years. The largest ancestry groups of Wyoming are 26% German, 16% English, 13.3% Irish, 4.3% Norwegian and 3.5% Swedish. 93.39% of Wyomingites speak English as their primary language, followed by 4.47% Spanish, 0.35% German and 0.28% French. A survey carried out in 2007 revealed that the people of Wyoming over five years old spoke a language other than English at home. There are 49% Protestants, 18% Catholics, 9% Latter-day Saints and 1% Jewish. Wyoming has no major professional sports teams due to its low population count. But there are college teams such as the University of Wyoming Cowboys and Cowgirls who play football and basketball. Rodeo is famous in Wyoming and Casper has been hosting the College National Finals Rodeo since 2001. There are no personal or corporate income taxes!